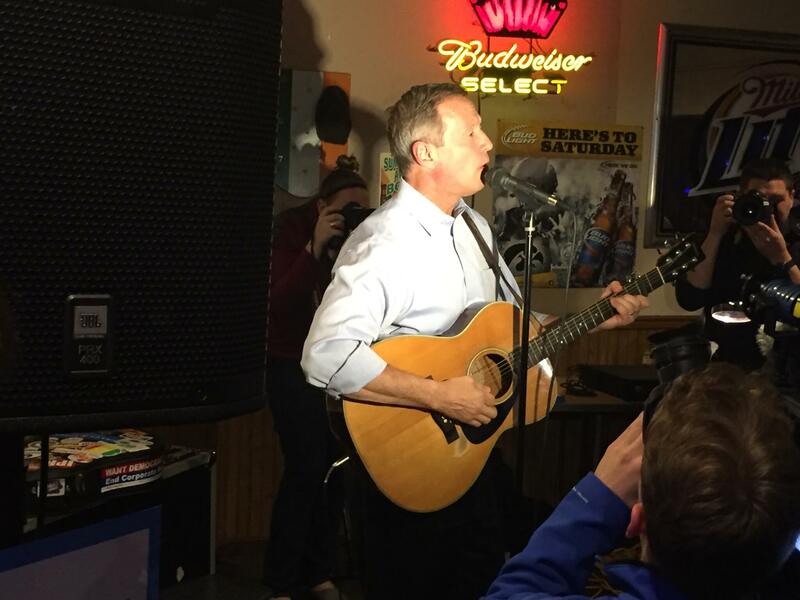 Martin O’Malley started to teach the chorus to the crowd, but most of them already knew the words. A packed bar of volunteers, staff and well-wishers crammed into the Des Moines dive bar of Carl’s last night, singing along with O’Malley, dancing and taking photos. 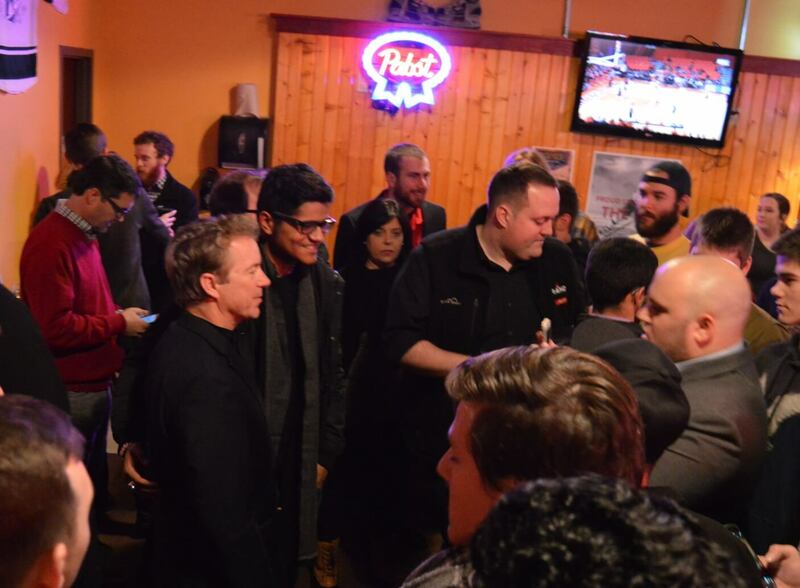 About a half hour later, 15 blocks away, Rand Paul celebrated his birthday with a packed party in the back room of Buzzard Billy’s. Both events provided some rare relaxed, fun moments for candidates and supporters. With 25 days left to the caucus, set to be filled with long, grueling, non-stop campaign schedules, O’Malley and Paul seemed to enjoy the chance for a more enjoyable evening spent out with Iowa friends. In addition to the core O’Malley supporters on hand, essentially the entire Des Moines Democratic political class was out at Carl’s, save for some already aligned with Clinton and Sanders. For those unaware, Carl’s, a dive bar if there ever was one, is often frequented by Democratic campaign staffers, consultants and activists (many live in the apartments nearby in the Sherman Hill neighborhood). O’Malley stuck around for about two hours afterward to share some drinks with supporters and take photos. 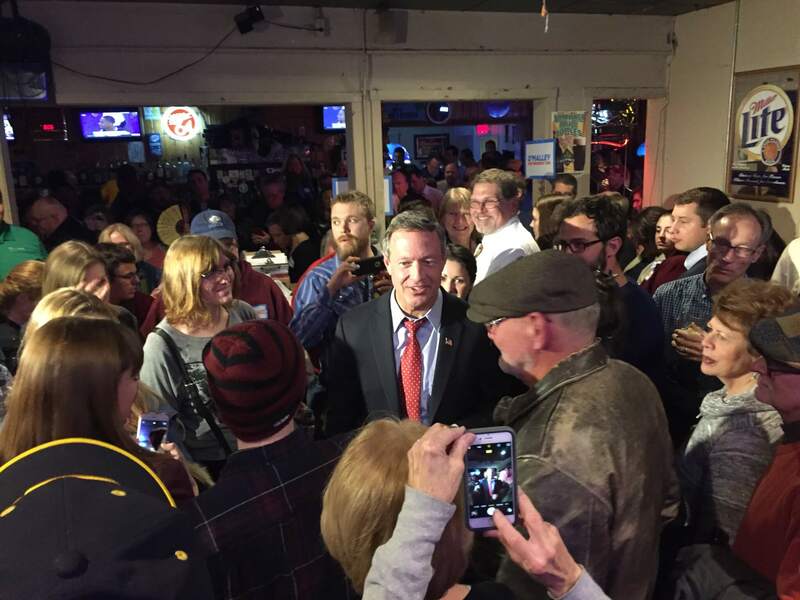 Downtown at Buzzard Billy’s, it was the crowd singing to the candidate, wishing Paul a happy 53rd birthday. With birthday cake and a long line for photos with the birthday boy, Paul seemed to have fun at the popular restaurant/bar where he had held a Halloween costume party a few months earlier. The crowd for Rand Paul was overwhelmingly young, with several dressing up for the party. The back room was packed with over 200 in attendance. 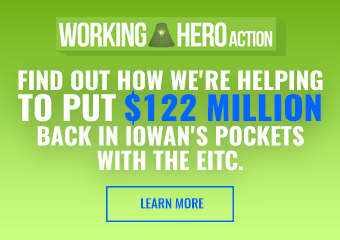 Quite a few guests, however, appeared to be out-of-state college students who are in Iowa to volunteer for Paul. Most noteworthy from the night was the gift Steve Grubbs, his affable state director, gave the Kentucky Senator: the news they had recruited 1,007 precinct captains. 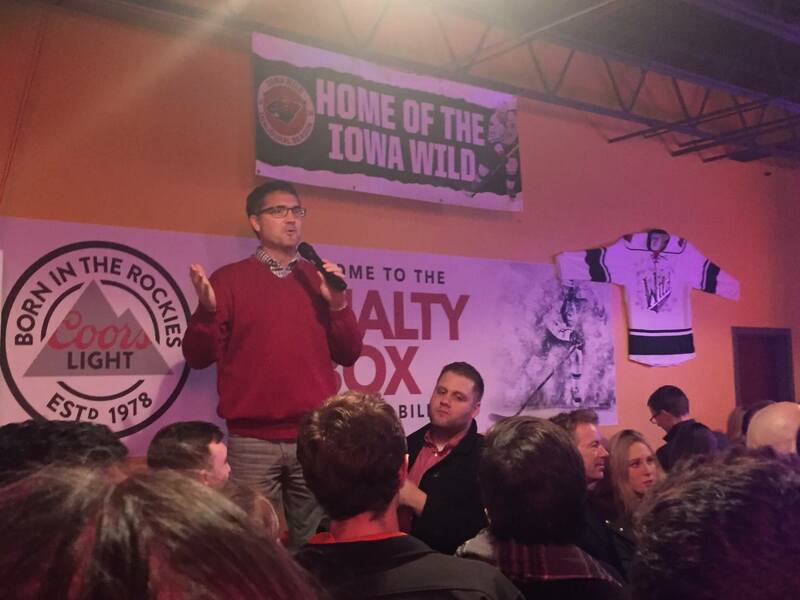 That would certainly put the Paul operation in the top tier of organization for caucus night among Iowa Republicans. 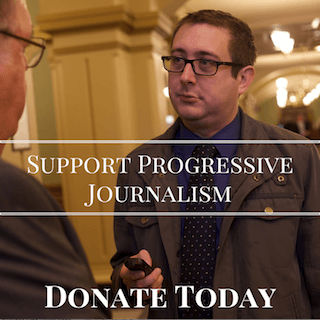 Of course, the question is how many of those are highly-trained, well-known in the community and have a long list of neighbors they’re planning on bringing with them to the caucus. 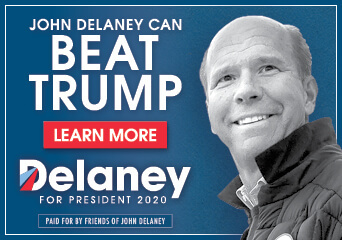 How many new caucus-goers either candidate signed up with their bar visits is likely small, but it’s refreshing to see the candidates take a break from the typical town hall forums to have a little bit of fun with their supporters. And it’s a reminder of how unique an opportunity Iowans have to meet governors, senators and business leaders running for president in these types of different, intimate venues.